John Lilly, CEO of Mozilla, told technology blogger Om Malik that they will release an application for the iPhone a few weeks from now and that it will be "really exciting". No further details have been said yet so we are left guessing. It could be similar to Fennec, a mobile version of Firefox web browser that is designed for smaller devices, mobile phones and PDAs. 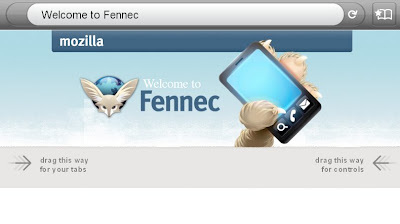 A beta version of Fennec is already available on Nokia Maemo based devices like the N900. However, Mr. Malik believes that the app could be an implementation of the synchronizing service called Weave. 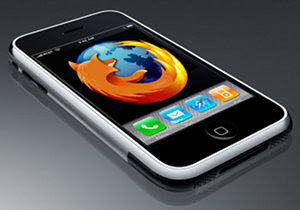 The big question is this: will Apple approve a Firefox web browser app for the iPhone? We all know what happened to Google Voice and Google Latitude. Google Latitude was rejected from the iTunes App Store because Apple was worried that it would replace the built-in Maps app. If Apple will miraculously approve a Firefox web browser application for the iPhone then a lot of people will be happy (including me) since it will surely be a good alternative to the mobile version of Safari. In related news, Mozilla CEO has clearly stated that they are now developing a Firefox web browser specifically for Android phones. It will come with add-ons, desktop synchronization, awesomeBar-style navigation and possibly other innovative features that will change the way we surf the web on our mobile devices. If Apple does not approve, maybe firefox could be installed on a jailbroken iphone/ipod.